On Friday, November 30, 2018, Heaven gained an Angel. Jerry was born on January 19, 1943 in Lewistown, MT to Jim and Agnes (Rule) Krier. Jerry and his family moved to Great Falls, MT, where he attended grade school and where he acquired his passion for basketball. As a young child Jerry spent hours each day in the gym shooting hoops. In high school, he became one of Great Falls Central’s stand out point guards and was honored as MVP. After he graduated high school in 1961, he went on to attend St. John’s University in Minnesota and Carroll College in Helena, where he continued to play basketball while in college. In the early 60’s, Jerry was married in Great Falls and from this union had three children – Jerry Jr., Jeff and Janelle. Jerry moved to Kalispell in 1975. Becoming an active member in the community he joined Buffalo Hills Golf Course, a bowling and a city basketball league, making life long friends along the way. His work ethic and charismatic personality lead him into a career in sales. Over the years, Jerry became, “Kalispell’s go to appliance guy” known by everyone. 40 years ago, Jerry married Debbie Winkley Krier. They spent these years enjoying each other and making priceless memories with family and friends. Jerry’s greatest smiles came from being with his grandchildren, family dinners, game night and watching Gonzaga Basketball. Jerry made the most of every moment, no matter what he was doing. He loved life and valued every second of every day. Jerry’s loved ones each gave a one word description for the man they loved so much. These include; gentleman, competitive, determined, caring, amazing, admirable, strong and tenacious. His greatest attributes included his fortitude, strength and faith. Jerry was preceded in death by his parents. He is survived by his wife Debbie; daughter Heidi and husband Curt Anderson; granddaughter Brooke and husband Dan Weaver; grandson Kyle Sampson, his twin brother Rev. Father Jack Krier; sister, Teri Prince; brothers-in-law and spouses, nieces, nephews and many dear friends. He will be missed by all of us, because we are all selfish and didn’t want him to go but it relieves us to know where he is and who he is with. No more sorry, no more pain. The trials are over and Jerry won! A memorial Mass will be held at 12:10 P.M. on Thursday, December 6, 2018 at St. Matthew’s Catholic Church. 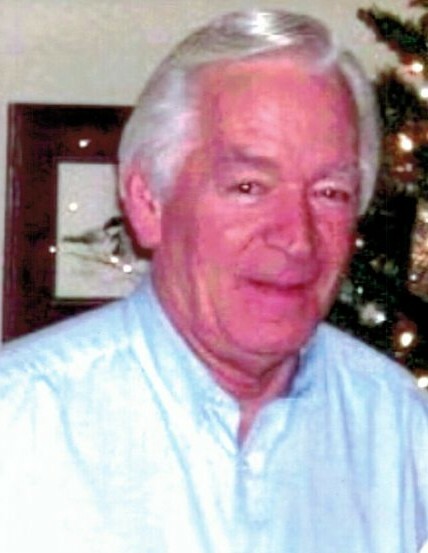 A Celebration of Life will follow at Buffalo Hills Golf Course at 4:00 P.M.
Friends are encouraged to visit our website at www.buffalohillfh.com to leave notes of condolences for the family. Condolences can also be sent to the family at PO Box 2878, Kalispell, MT 59901. Buffalo Hill Funeral Home and Crematory caring for the family.